Computer viruses are as old as the internet itself. In fact, the first computer viruses started popping up before the internet was invented, starting with 1971’s “Creeper” virus. This virus displayed a creepy text message on the user’s interface but did not do any serious damage. Unfortunately, today’s malicious websites are much more threatening than in the old days. In 1996, the “Laroux” virus proved that malware can infect computers in unexpected ways. This virus burrowed into Microsoft Excel documents, spreading to any computer that accessed the spreadsheet. Similarly, 2002’s “LFM-926” operated by sneakily infecting Shockwave Flash files. It seems that the most devastating viruses are still being developed today. In 2014, a virus called “Backoff” was designed to infect credit card readers and other point-of-sale devices to secretly steal innocent customers’ credit card information. Any company infected with this virus unknowingly compromised all of their customers’ sensitive financial data. 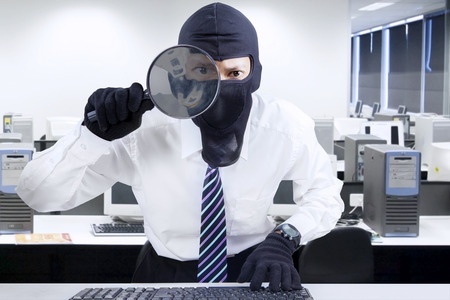 It is very important to protect yourself and your clients from these malicious websites. A single computer or even an entire company’s network can be taken completely offline for days after being infected by a single nasty virus. This is much more common than some people realize. Recent studies show that 30 percent of all American computers are infected with some sort of malicious computer software. These virus episodes are not cheap, either. In 2013, these computer viruses cost the United States a whopping $4.5 billion dollars! Keeping your computers safe from malicious websites is not just a matter of personal security; it is also the only way to ensure the safe treatment of your customers’ data, as well. It is crucial to stay safe and protect yourself and your customers from today’s malicious websites. The example of the Backoff virus illustrates how something that seems as if it only affects a personal computer can spread to devastate customers, as well. As we have seen, safety on the internet is no longer just a personal issue. If you own or run a business, it is now a corporate responsibility to ensure that your customers are also safe. This is especially true when working with high-risk businesses. It does not matter if you are a small company of three employees, or a large conglomerate that has a presence around the world. It also does not matter if you are mostly a brick-and-mortar operation, or operate 100 percent on the internet. In this day and age, we all “touch” the internet in some way. We are interconnected, globally. In many ways, this is a good thing and has allowed us to grow as a global community, but it also opens the doors (figuratively and literally) for viruses to travel from one place to another. I applaud you if you are in the group that fits under category one! If so, and you are looking for the next steps, maybe hiring a security specialist to audit your website and company practices may not be a bad idea. Like we said, working with high-risk businesses necessitates that. If you are in category two or three, let me ask you this: How important is your brand image? For that matter, how important is your company, or even the credibility of your website and the identity/brand that it represents? If you put yourself into the place of those who were infected by the Backoff virus back in 2014, how would you picture them affected? Do you think that customers wanted to use their services anymore? Even if we can logically figure out that it is not the company’s fault that they got hit by a virus, there is something in human nature that makes us want to veer toward a company who has not been compromised, where we feel that we may have a better chance that our credit card information is safe. It is very possible that that same human nature puts us in a direction that is worse than the first, but nonetheless, human nature drives a lot of decisions that may or may not be the best. So, here is an opportunity for us, as website owners, business owners, or common people, to make a decision for safety for ourselves and for those whom we serve, our customers and community around us. And, fortunately, the steps to do it are not difficult and I promise they won’t kill you to take those steps.